The previous post described different methods for organising related data and creating a website to make the open data accessible to others. The potential benefits of standardising cultural event data and making it available online for anyone to access and implement are immense. 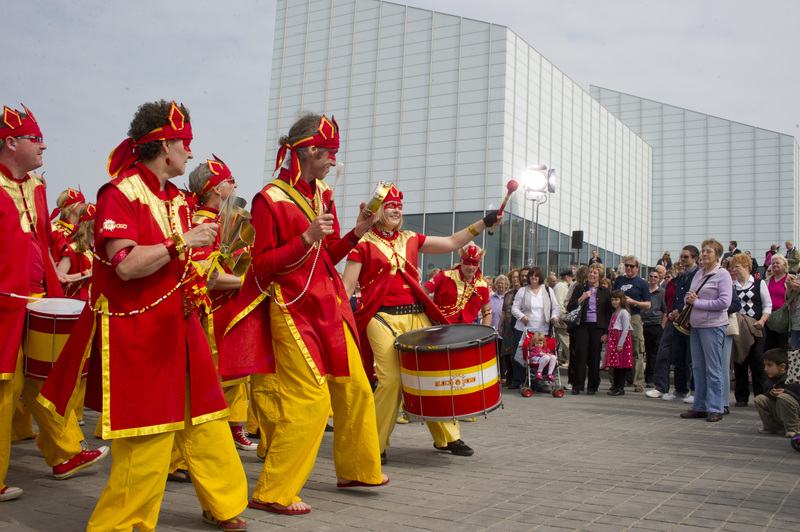 First, local audiences become aware of the cultural events that are happening nearby, which can encourage them to support local events as well as invite friends and family to visit them. Second, a more global audience can find events that they might not have heard about without someone publicly sharing the event information. For instance, organisations can implement cultural event open data into apps, making it easy for travellers abroad to find cultural events in any country they visit. Can add locations of places, signs indicating where notable people lived or spent time, etc. This app also can be integrated with your smartphone’s calendar, making it easy to receive reminders of upcoming events. An app that focuses on all events happening in one location is Plymouth Artory App. This is being billed as the ‘Ultimate guide to Plymouth’s art and culture’. In addition to featuring a calendar of events, this app offers visitors incentives for leaving feedback about what they thought about the show, the exhibition, the film or the attraction. Feedback can be left as ‘moods’; users can submit their feelings and emotions about the art and culture they’ve just viewed. These are just a few ideas about how open cultural event data can be implemented in an engaging and effective way. The more data available, the more valuable an app can be. It all starts with organisations’ collaborative efforts to standardise event data and make it available online. Do you know of any interesting cultural events apps or have an idea of your own? Please share your ideas in the comments! The Plymouth Artery App sounds great. Wondering what size area the app can be developed for – only a city-size, or perhaps a region? Thank you for reading our blog! I believe this type of app can reach a city, region, country, etc; the only limit is the source of data. Plymouth’s app focuses on Plymouth, but similar apps can be created by querying a larger data pool for information only related to a certain area or region. This is why data pools are so important; they dictate the data that is available to everyone, who in turn can then adapt the data to their needs, whether it be regional or global. Hope that helps!